Birla High School hosted the Filmit Festival organised by INTACH on Wednesday 6th February 2019 . 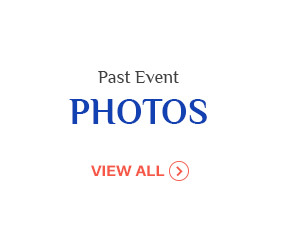 The same was attended by Sixteen schools. 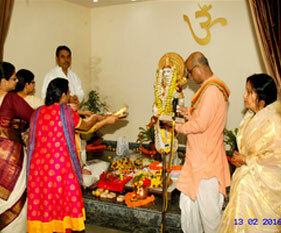 Mr S V Raman was the Chief Guest along with Mr Saheb Bhattacharjee . 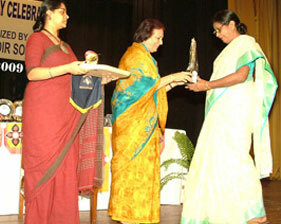 Birla High School won two awards - "Best Visuals" and "Best Film with a message." The Tinker Fest 2018 which was held at Newtown School, Kolkata on November 24th and 25th, organized by MakersLoft Pvt. Ltd. was a festival of creativity and innovation for school students. In this competition quite a large number of schools of Kolkata participated. MakersLoft went to about 50 schools in Kolkata for the first round of judging after submission of you-tube videos of their 5 top projects. e) Creation of an Amusement Park using Robotics. BHS students received the 1ST Prize in Power point presentation and T- shirt painting in The Inter School SPICMACAY fest (Milaap 2018) hosted by DPS Howrah held on 28th and 29th September 2018. Birla High School participated in Mathematics Seminar hosted by St. Lawrence High School and secured second position in the competition. Birla High School boys got the 1st Runner-up prize for their Programming Skills in the event “Codes Cook Beginner” at the recent IT Fest , “EXE.BIT” organized by Laksmipat Singhania Academy on the 2nd and 3rd of August,2018. 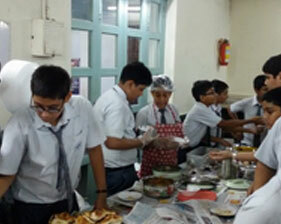 The participants were Prateet Chatterjee and Sarbo Sarcar from classes 7 and 8 respectively. The 19 th L.N. Birla Memorial Debate was held on 11 July 2018, at the Vidya Mandir Auditorium. Steady voices, logical argument, impeccable rhetoric and intense competition saturated the atmosphere at the Vidya Mandir auditorium, as the school debaters from across the city assembled for the final round. The event was graced by the Director of US Consulate Mr.Jamie Dragon. Among the esteemed members of the jury we had Mr. Sumit Dasgupta, Mr. Noomi Mehta, Miss Malabika Banerjee and Miss Hilda Peacock. The students battled with the only weapon at their disposal—words and debated for and against the motion of the house, “Democracy has failed in India”. The debate was chaired by DR. Sandeep Chatterjee, one of the founders of the Calcutta Debating Circle. Among the eight finalists schools were La Martiniere for Boys, The Heritage school, DPS Ruby Park, Birla High School, Lakshmipat Singhania Academy,St. 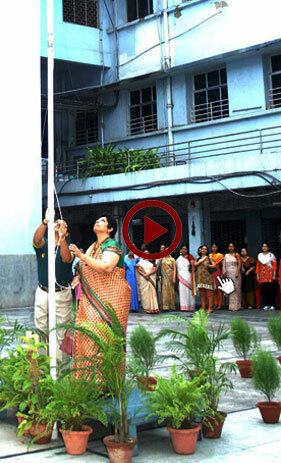 Xaviers Collegiate School, Calcutta Boys School and Mahadevi Birla World Academy. The audience wsa extremely inspired by the level of the competition and quality of the debators. The ‘Best Team Award ‘ was bagged by the participants from the Mahadevi Birla World Academy , and the speaker from the same school was awarded the Best Speaker Award. The First Runner-up was from The Heritage School. Birla High School believes in empowering the youth. The debate has revealed that given a platform, the country is capable of producing confident and articulate young speakers who can argue critically, yet courteously on various issues. An interschool fest, Youthopia was organized by The Heritage School on 10th , 11th and 12th May, 2018. Over the course of three days Birla High School participated in a number of events like Photography, quiz, FIFA, Rubik’s Cube, Chess, Stock exchange, Sudoku, Basketball, Fashion show and Tug of war and won a number of prizes. An interschool fest, Convergence was organised by Sushila Birla Girls’ School on 3rd and 4th May, 2018. 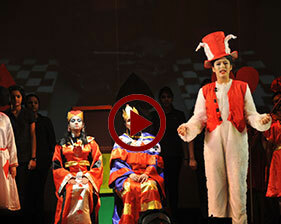 The off-stage events took place on the first day in the Sushila Birla Girls' School premises. The on-stage events took place on the second day in the Vidya Mandir Auditorium and Sushila Birla Girls’ School premises. Birla High School overall secured the second position in the Fest. Birla High School boys got several prizes for their techno-skills at the recent IT Fest , “EXE.BIT” organized by Laksmipat Singhania Academy on the 4th and 5th of August,2017. The students of BHS competed and bagged the 2nd Runner-Up Trophy. An Inter School Quiz was organised by DPS Ruby park on 22nd July. 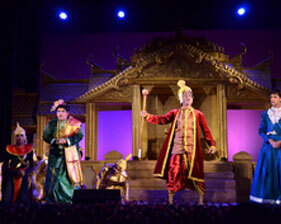 The theme : Heritage specially Kolkata Heritage. Birla High School achieved the 2nd runner up trophy .The participants : Vedant Palit and Sam Buddha Ray of classes 9 and 10 respectively. The L.N. Birla Memorial Debate is the fulfillment of our Founder Late Mr . L.N.Birla’s vision of a complete education of our pupils which would combine service with excellence, create independent and free thinking men and women who could confidently lead to new frontiers of knowledge and progress “The prelims of the debate was held on Monday 10th of July 2017. The Debate Finals were held on 11th July 2017. 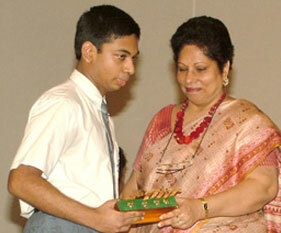 Runner Up Speaker – Abhirup Manna of Birla High School. The 18th L.N. Birla Memorial Debate - Prelims :10-07-17. Sarvesh Gupta of class 10B won the 2nd prize in the "INTER SCHOOL DEBATE COMPETITION" in Hindi held on 16.06.2017 organized by Kolkata Police. Ansh Chandnani and Krittik Chopra of Birla High School participated in an Inter School Debate Competition held on 11th November, 2016. This Competition was organised by THE AGRI - HORTICULTURAL SOCIETY OF INDIA. Both the participants gave their very best and emerged victorious bagging the Best Team award. Ansh was declared the Best Speaker and Krittik won the Second Best Speaker. Both Ansh and Krittik are students of Class 10. An Entrepreneurial Activity conducted for the British Council’s International School Award was organized on 22nd July, called “Delicacio” by Birla High School for the boys of the senior school. This activity was basically a business venture undertaken by four “Partners” who are students of Class XI. These partners spearheaded the project and started a business “Effin Foods” that set up food stalls at a food fiesta in the school canteen. The activity received an overwhelming response from all the students from the middle school, the senior school as well as the teachers. A grand profit was generated from the venture. The capital given by the partners as well as raised from the students was all given back to them. In a generous gesture, the partners decided to submit the entire profit to the school office. This activity not only instilled a sense of leadership in the students, but also honed their managerial skills and gave them a practical and real life understanding of the subject of Entrepreneurship. Intelligenitia 2015 organized by the St. Xavier’s Commerce Society on 1st October 2015 was attended by five students from Class XI. It was a panel discussion, catering round the theme, “Inspire, Ignite, Integrate the Impetus of a New Age Leader”. The above Seminar was attended by Chirag Basu (Class XI) the speaker, and Sahen Gupta and Noumen Anwar. There were six speakers from different schools who were invited to present their papers covering any dimension of the concept note reading “Culture and Politics: An intractable Conflict”. Chirag Basu received a book coupon worth Rs. 1000/- as a token of appreciation. Our students from the middle school participated in this fest with great enthusiasm and made a mark with their performance. The school participated in this fest which had as its theme, ‘Unity in Diversity”. They won the first position in Mosaic in collaboration with La Martiniere for Boys and Akshar School. They secured second position in Street Play, Half a Minute and third position in Debate, Cover Designing, Graffiti, Thematic Display, Group song, Group Dance and Earth Matters. Our students participated in the Mitali Fest, organized by Modern High School on 29th September, 2015 and secured second position in Quiz and third position in dance. Sangalp Fest was organized by The Heritage School on 30th September 2015. Our students secured first position in Quiz and Creative Writing in this Fest. The 16th L. N. Birla Memorial Debate was held on 11th of July amidst a lot of excitement and élan. Like every year, there was a preliminary session on 10th of July, where sixteen renowned city schools were engaged in an incisive battle of words and wit as they debated on the motion, which read, “The Internet should be subjected to censorship” . Eight best schools were selected for the debate in the Final Round held on the 11th of July. The debate which has always been set apart for its distinctive stature, had as its motion, “Colonial India would be preferable to a corrupt India”. Dr. Kunal Sarkar, a renowned cardiothoracic Surgeon, an avid debater graced the day as chairperson. The Best Speaker Trophy was lifted by Aastha Agarwal of Shri Shikshayatan School. She also won a cash prize of Rs. 10,000/- and a Dell Laptop. 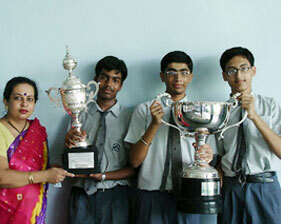 The school has participated in a number of quiz contests and also earned a place for themselves in each of them. Abhirup Manna participated in the Derozio Memorial Extempore Competition at Frank Anthony Public School and did the school proud. Abhirup made a magnificent delivery speaking on “If you had a chance, what would you choose – fame, money or health” and was declared the best speaker. He was awarded a trophy, certificate and a set of 8 books. Shambo Debnath, a student of Class IX, participated in World Junior Sudoku Championship 2015 at Beijing from 23rd to 25th July 2015. He reached the pinnacle of glory when he was placed in the first position among all Indian participants and was judged fifth in the world. The Tenth Odyssey turned out to be one of the best fests the city has seen this year. Students of the +2 section of Birla High School presented this interschool cultural fest to the city of Kolkata after months of elaborate preparations. 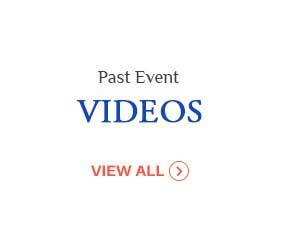 The star attractions were the famous quizmaster Barry O’Brien, Master of Ceremony Shayne Hyrapiet and to top it all, the Indian Pop Band Sanam who proved to be a hit with the audience. In the off stage events, Birla High School secured the first position in Treasure Hunt, Pool, Basketball, Rock Climbing and Tug of War. The school was placed second in Table Tennis, Lawn Tennis and Bowling and bagged the third place in the Carom competition. Debaditya Pramanik of Class XI was a part of the Indian delegation that had represented India in the 9th International Olympiad on Astronomy and Astrophysics held in Magelang in Central Java from 27th July to 3rd August and won a gold medal.